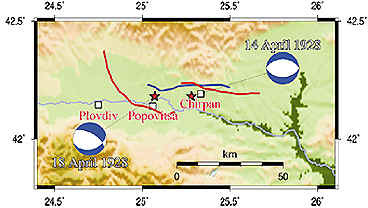 Surface ruptures of the M6.8 Chirpan (April 14, 1928) and M7.0 Plovdiv (April 18, 1928) earthquakes are shown by thick red lines on the figure below (after S. Bonchev and Bakalov, 1928). Redetermined surface rupture of the Chirpan earthquake (G. Bonchev, 1931) is shown by thick blue line. The epicenters of the two strong events are depicted by red stars. Fault plane solutions are shown as equal-area lower-hemisphere projections. Levelling networks were measured during 1923�1926. 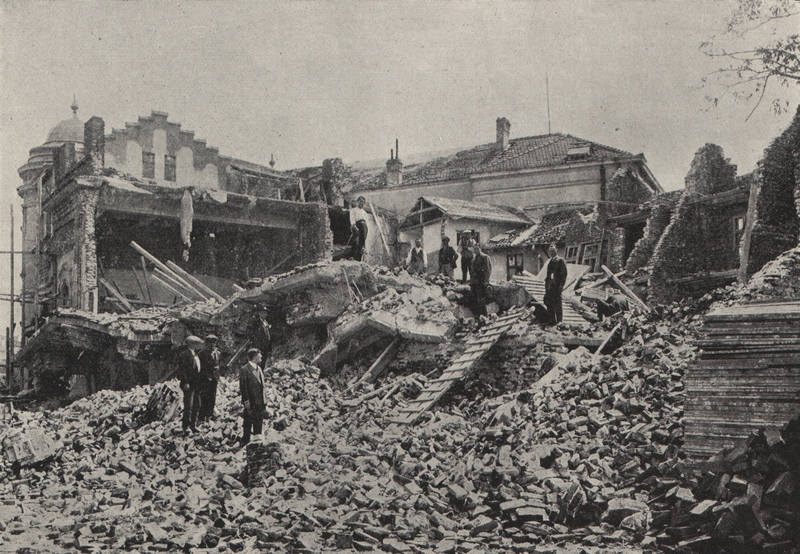 Changes of the surface after the two earthquakes were established by new geodetic measurements in 1929�1930. 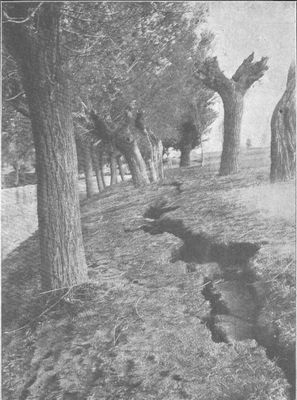 The largest displacement was recorded along south rupture, whereas displacement along northern rupture (April 14th) reached 0.3�0.5 m.
During the 14 April earthquake two main parallel surface breaks formed, trending 100�110oE with a distance between them equal to 15 km (upper figure above). Both were reported to have a throw of 0.3�0.4 m, down to the south and down to the north, respectively (Bonchev and Bakalov, 1928). 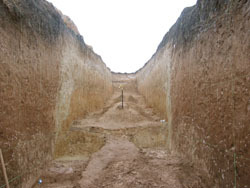 The continuous south�dipping rupture had a 38�km length and an average 40 cm, reaching a maximum of 50 cm in the middle (DIPOZE, 1931). 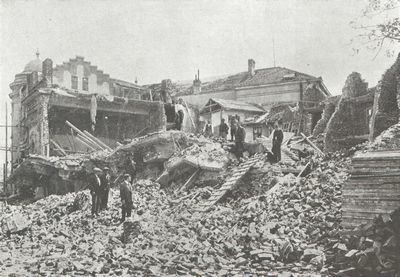 Two of the largest earthquakes during 20th century in Europe occurred in South Bulgaria in a period of four days in April 1928. 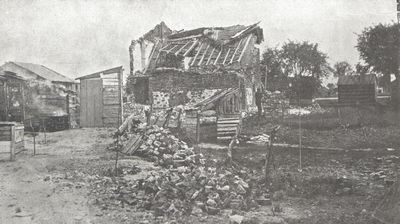 The former took place at about 11.00 AM on April 14 and had a magnitude of M=6.8 and the latter struck four days later at about 21.00 PM with a magnitude of M=7.0. 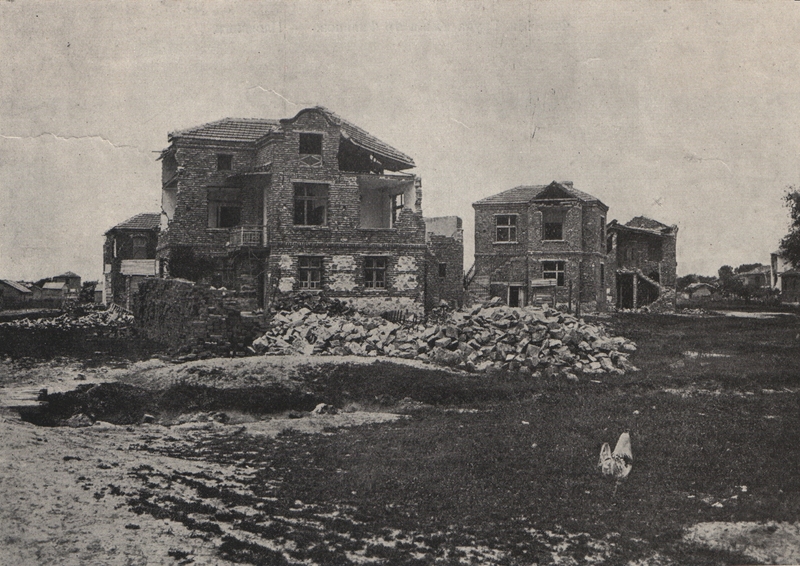 Several towns and tens of villages were destroyed in South Bulgaria. The earthquakes caused an intensive aftershock sequence and more than 100 casualties.